Working as a general contractor in most markets means that customer service, reliability, and reputation will determine the number and quality of prospective clients. Most of the best paying projects and gigs require the work of more than one person and often require a large team of workers to complete the job in a timely manner. Subcontractors can fill that role, while also allowing your business to expand its offered services depending on their areas of expertise. Whether you're being hired to install tile in a room or re-wire a home, your clients need to trust your company and its subcontractors. Here are five serious arguments in favor of maintaining positive working relationships with the best local subcontractors in your company's various areas of service. 1. People trust expertise. While it can be tempting to hire those who will work for lower hourly rates, thus increasing the potential profit margin, customers and clients will expect licensed, experienced contractors to be working on their project. In many cases, clients hire a general contractor because they understand their own limitations and want to ensure a difficult job, such as electrical wiring, is completed by someone with the knowledge to do so safely. No one wants to pay an electrician's price for a handyman's expertise. Especially when it comes to critical systems like HVAC, plumbing, and electrical, hire those with experience and licensing. Your clients expect to have skilled subcontractors working on systems whose operations are a major component of their health, security, and comfort in their own home. 2. Your contractors are the face of your company. In many cases, your on-site manager and contractors will be the only in-person interaction your clients have with your company. Scheduling and payment are often handled via the Internet or the telephone these days, meaning that your clients' opinions of your subcontractors will also be their opinion of your company as a whole. You need subcontractors who appear competent, have strong interpersonal skills on site, and who work at a proficient and diligent pace through the duration of the project. Your subcontractors should make your clients feel like they are being respected and that the work is being completed by a reliable business. If your subcontractors aren't professional, clients will associate their bad behavior with your company, possibly leading to damage to your company's reputation. 3. Skilled subcontractors provide value for cost. Ever since the rise in popularity of the Do-It-Yourself (DIY) movement, many homeowners have begun attempting to do major home renovations without the use of paid, skilled labor. Whether it's an exterior paint job or refinishing hardwood floors in an older home, potential clients need to feel like the workers performing the job have a level of skill and competence in the area that they could not easily replicate. Knowing that the team painting their home has had decades of experience in ensuring proper coverage, even coating, and careful attention to the necessary details of painting a home's exterior, will make your potential clients less likely to forego your services after an estimate in favor of trying to do it themselves. The more experienced and skilled your team of subcontractors, the easier it is for potential clients to justify the expense involved in hiring them via your company. 4. Subcontractors network amongst themselves. If you specialize in plaster and work with plaster proficient subcontractors, you may need to bring in fresh faces if you are hired to complete a massive project working with gypsum drywall. Having a positive relationship with your subcontractors means they will be more likely to recommend your company to their personal and professional acquaintances as a client. The better you treat and pay your subcontractors, the more likely you are to be able to hire the best and brightest in your local market, regardless of what skill set you are looking for in subcontractors at any given time. 5. You can't blame staff for shoddy results. If you cut corners with the subcontractors you hire for a project and it shows in the finished results, your clients will not accept you blaming the failure on your subcontractors. You will likely be required, at the company's expense, to repair any damages or redo any work that doesn't meet client and safety standards. Therefore, it makes sense to hire subcontractors with the skill and reliability to get the job done right the first time, every time. Re-doing a botched job is expensive, and even if you fix everything quickly, it's likely to damage your reputation with potential future clients as well. Don't risk losing out on business because your subcontractors aren't professional; go with well-regarded and established subcontractors to ensure high quality results every time! Vertical Construction Group chooses its subcontractors, suppliers, and partners very carefully. As a local resource for Seattle residents, we understand the importance of creating buildings and remodel projects with a high degree of care. 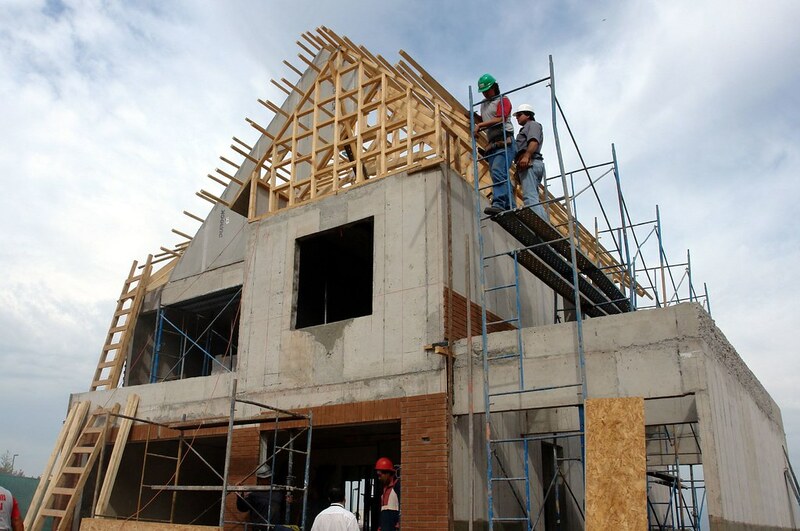 For more information on our services or our process, contact Vertical Construction Group today.